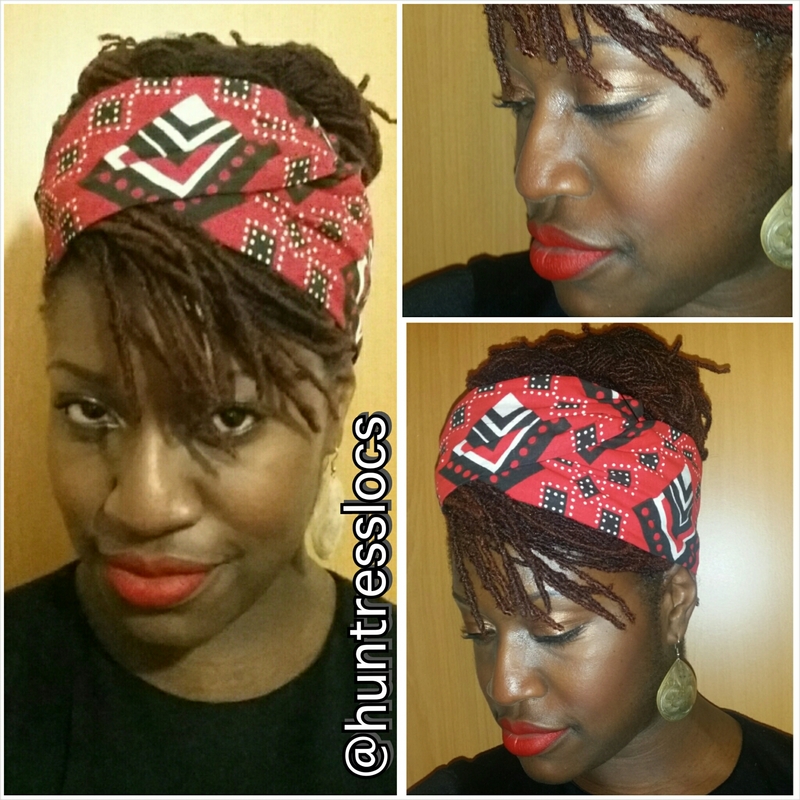 1 – MYTH: Locs don’t have many styling options. I believe this is one of the biggest worries for loose naturals considering locs. They worry that once their hair is locked all styling options are gone. This couldn’t be further from the truth as locs are as versatile as loose hair. They can be curled, braided, put in updos, bunned, looped or so much more. The only limit is the imagination of the person doing the styling. 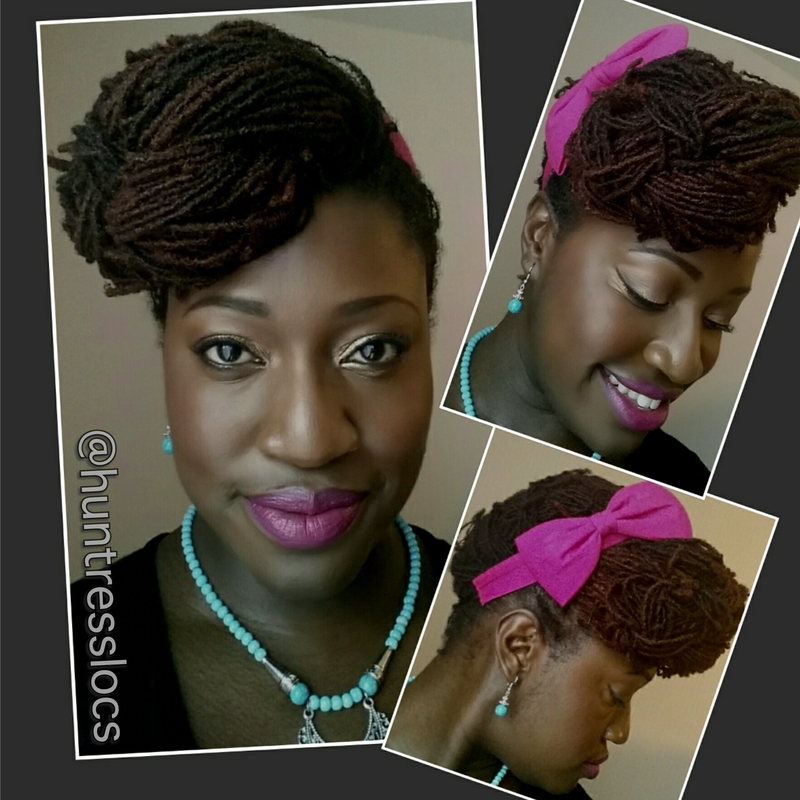 Here are a few DIY styles I’ve created with my locs. 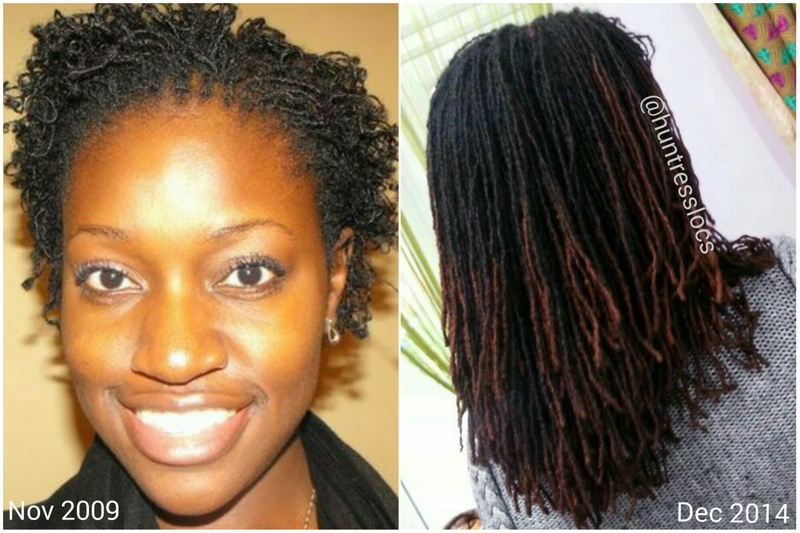 Many people with locs wash their hair more fluently than they had previously as the process is very simple. You can just wash and go. For the first year of my loc journey, I only used shampoo on my locs and they flourished (read more here). I wash my locs weekly and am please to say that those that I have met with locs regularly wash theirs too. There are loc’d naturals that don’t wash frequently, but let’s be honest there are loose naturals, braid and weave wearers out there that don’t wash frequently as well. Dirty hair has nothing to do with hair being loc’d. Some people out there are nasty, plain and simple. I’ve worked in the corporate world for the past 10 years with my natural hair. My afro or locs have had no impact on my career or opportunities available to me. At work my focus has always been knowing my role and being an asset wherever I work. My hair has been a topic of conservation as some people have genuine questions which I’m always happy to answer but never a hindrance. I’ve never been asked to change my hair or wear it in a straight style as it has no impact on my performance. One thing to note is that while locs are professional all loc styles are not. At work when I’m representing the company at external meeting, I opt for a conservative style in keeping with the environment I’m visiting. My African print wraps, bows, scarves etc are left at home and I put my hair in a bun, fancy ponytail or half up and half down do. This applies to all at my company and everyone adopts a more conservative look for meetings. 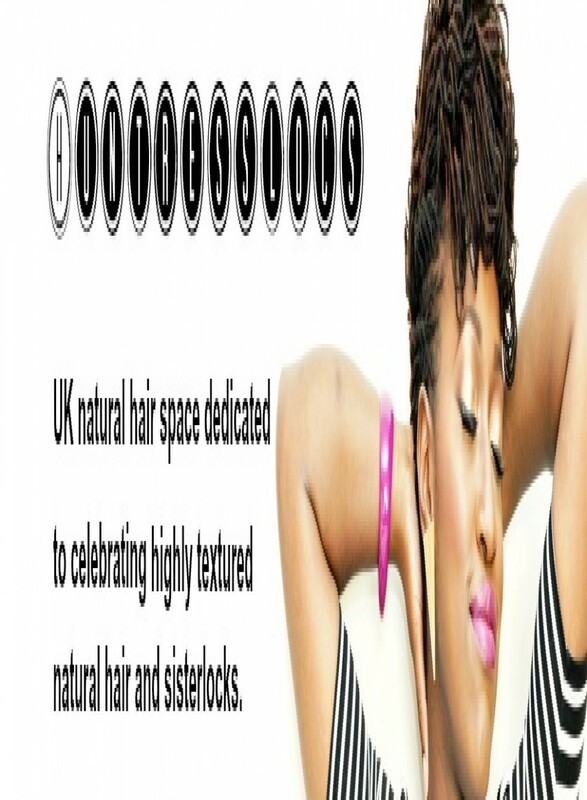 All natural hair requires maintenance and some products to keep it clean, healthy and moisturised. Locs are especially cylinders of matted hair, they require less products as they are the ultimate protective style but do need some help. Before locking I had spent days, weeks, months years looked at my favourite vloggers and bloggers and assumed that my locs would look like theirs. But factors such as texture, density, length and more contribute to the time hair takes to lock and the final look. 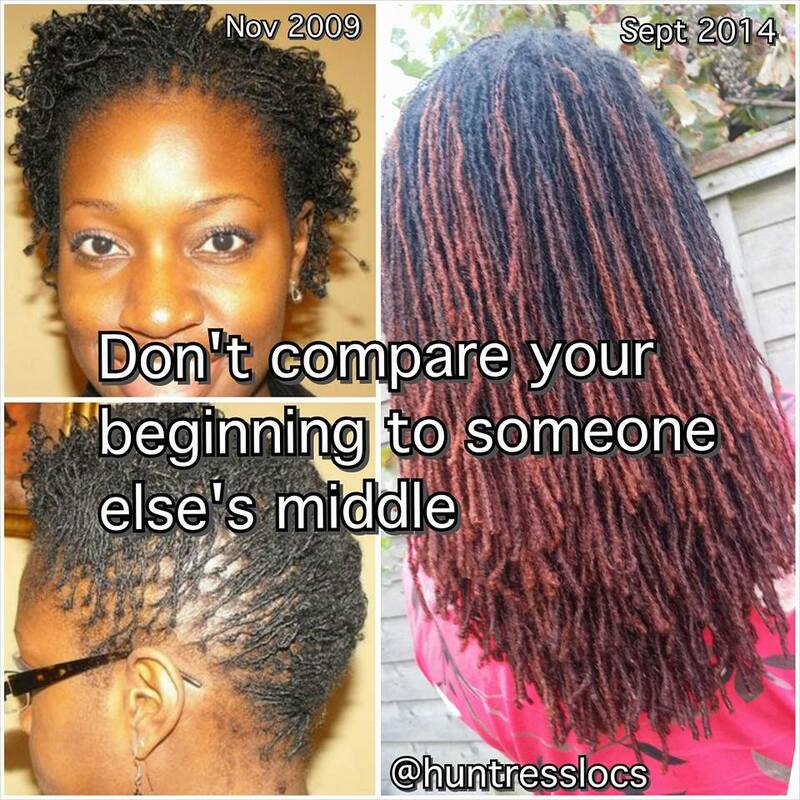 Using the same products as your favourite blogger will not make your locs look like theirs. Everyone’s hair is unique which is the beautiful thing about our hair. Just imagine having something out there that no one else in the world has. It’s amazing. If you like this post share it, subscribe to my blog for more updates also join me on Facebook, Twitter, Instagram or Google+ natural hair inspiration. Thanks for taking the time to visit my blog and read this post. In theory the decision to return to natural is a simple one. But many fail as they weren’t mentally prepared for the journey. This blog contains the key tips I used to stay on my loose natural hair and then my sisterlock/loc journey. Having a collection of supportive people that can offer advice, inspire, inform and console you are vital to a successful hair journey. When I decided to set my natural hair free I joined the online community at www.nappturality.com, where I found a groups of woman who gave me much needed support. At the time there weren’t any naturals in my circle. This group of women gave me a real confidence boost when my twist outs failed, when I managed to make a gel/cream paste concoction which turned to flaky cement while I was at work. TIP 2 – Don’t be a hair bore. Yes, natural hair is fabulous. Yes, natural hair is versatile. Yes, the chemicals in relaxers can cause major problems, but you know what. Everyone on Facebook, Twitter, in your local supermarket and at dinner do not want to hear about it. The beginning of your natural hair journey is full of discovery and you will find amazing articles/videos that really excite you. But please do not start handing out tidbit of natural hair knowledge unless asked. I know it’s hard as you are so excited, but realise this. You are not the first person to return to natural. This information existed before you discovered it. Those that you feel you need to educate about their hair, don’t want or need your advice. They have the right to do whatever they choose to with their hair the same way you do with yours. If anyone has a natural hair question, they will ask you please don’t preach at them. Don’t bore people with hair chat. Share what you find with your natural hair network who will appreciate and happily discuss the information you have found. At each stage of my natural hair journey there have been people that have advised against each thing I’ve wanted to do with my hair. Some people were blatantly rude with comments such as “it won’t suit you”, “you will never get a good job with hair like that”. There were also people that were very subtle and will give you a back handed compliment such as “your curly hair is nice, but I loved your hair when it was straight”. Mentally prepare yourself for this and remember why you choice to return to natural. I remember the first day I went to work after having sisterlocks installed. I was a bit nervous as my hair was spacey with scalp exposed in many places. One “helpful” colleague walked up to me, stared at my new look and said she preferred my old hair. I responded by letting her know that I preferred my hair like this way and my opinion was the only one that mattered. She didn’t need to know that what she said stayed with me for a while and made me a little more paranoid when I ventured out the following day. This is the point when I turned to my support network as mentioned in the first tip, a support network is very very very important. This does not mean follow the most popular natural hair celebrities but people with hair like yours. Nothing makes a new natural feel more disheartened than trying to achieve a look/style that just isn’t designed for your hair. Your hair is unique and will do its own thing. Tips form those with hair like yourself are more likely to work compared to a wash and go tutorial by a loose curly natural if your hair isn’t loose and curly. Loving your hair as it is right now without constantly wishing it was longer/thicker/curlier/fully loc’d will mean you get more from your journey. My picture at the top of this post shows that hair grows and when cared for by the right people it will flourish. The structure of our hair will not change without chemical intervention. There is not cream, gel or spritz that will change you hair, so why waste energy trying to make it conform? Enjoying your journey will mean you will be patient with your hair, let it do what comes naturally to it and will spend less time frustrated. If you struggle with this, reach out and someone will help. I hope this post is helps someone at the beginning of their journey or something that is struggling. Please share any tips or comments you have below as anyone that reads this is searching for help and support. If you like this post share it, subscribe to my blog for more updates also join me on Facebook, Twitter, Instagram or Google+ daily natural hair inspiration. Thanks for taking the time to visit my blog, this post was longer than planned. This is a quick post for those (like me) that became disheartened at the beginning of their loc or natural hair journey. My newly installed sisterlocks weren’t like the beautiful locs I saw online. They where short, spacey and didn’t look like locs. While long thick locs are gorgeous, it’s important to remember that everyone doesn’t have super thick hair and the pictures you see aren’t always achievable for everybody. Most people like myself have thin patches, bits that don’t grow, bit that grow too much and sections of hair that randomly do their own thing. But you know what, its normal and its amazing. Just think, there is no one, absolutely no one in the world that has what you have. Your locs and your natural hair is beautiful because it is unique. The picture above shows my locs a day after installation. You can see my hair is naturally thin on the sides. The picture on the right are my locs now, well September 2014. My hair is still thin, but as my locs have grown it’s less noticeable. My thinner sides are part of my hair and there is nothing that can be done about them. No oils, creams or treatments will make it thicker. It has taken a while and lots of £££ spent on products that don’t work for me to learn this. But I have and and love my locs as they are. Appreciating the beauty in others does not mean you should want their hair. I’ve recently seen a discussion on a natural hair group where someone new to their natural hair journey wanted to quit as her locs where as thick as her loc crush’s. We need to love what we have and move on. Your hair is your hair. Loving it as it is will make you much happier. Don’t compare your beginning to someone else’s middle. join me on Facebook, Twitter, Instagram and now Youtube for daily natural hair inspiration. 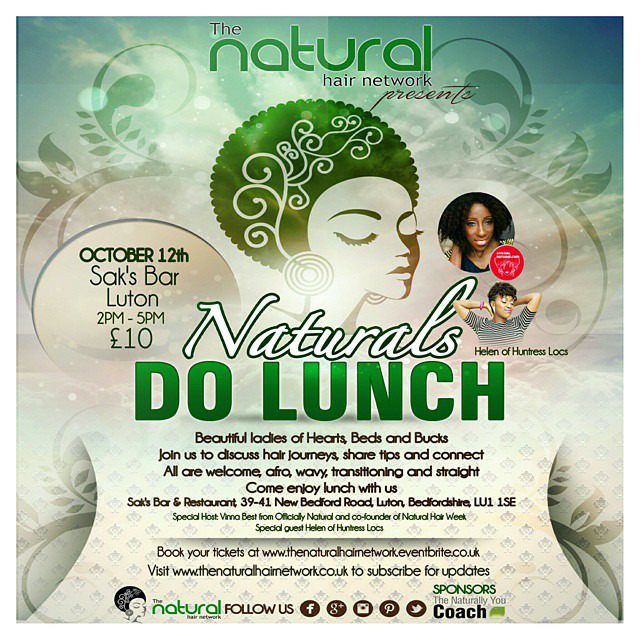 Come and have lunch with us and meet with the naturalistas of Hearts, Beds and Bucks. Discuss each others hair journeys, share tips and connect. All are welcome, afro, wavy transitioning and straight. Enjoy a sit down buffet lunch and Q&A section with our panel. Special host Vinna Best from Officially Natural co-founder of Natural Hair Week special guest Helen of Huntresslocs and our sponsor Leah Naturally You Coach.